The Energy and Mineral Resources Ministry says it will issue a regulation on the domestic price of coal to curb production costs as the government has decided not to increase electricity rates. The ministry’s electricity price section head, Jisman Hutajulu, said in Jakarta on Monday that domestic coal would be sold based on domestic market obligation (DMO). “The objective of introducing the regulation is help easing the financial burden of PLN,” Jisman said as reported by tempo.co, adding that the DMO was based on Energy and Mineral Resources Ministry Regulation No. 34/2009 on coal and mineral resources. The regulation, among others, rules that the domestic price of the mineral and coal are based on the price reference of the commodity. 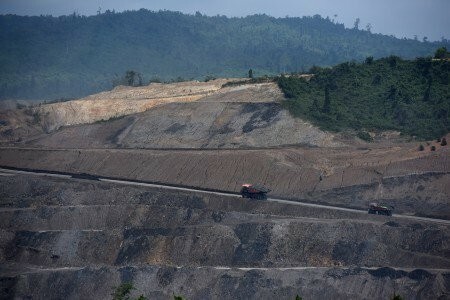 Under the regulation, the energy and mineral resources minister will decide the coal quota for domestic needs. Jisman said Minister Ignasius Jonan would also revise a prevailing regulation to decide the domestic coal price after taking into account the opinions of stakeholders. Jisman said PLN had proposed a price floor of US$60 and price ceiling of $70.